Hydroponics has grown big in recent years. Due to environmental, health and consumer demand for produce from alternative agricultural systems, hydroponics went from being an average bio-techie’s geeky hobby to a potentially lucrative business venture. Naturally, in a situation like that, hydroponics books soon followed. However, the sheer number of hydroponics books doesn’t mean that all books are worthy of our attention. Different gardeners and growers have different needs and expectations when it comes to literature, and sometimes it is hard to deduce what is best for you. So, what is the best the best hydroponics book out there? Well, you have to know that there is no “Hydroponic Bible”, so to speak - no hydroponics publication perfectly covers every single aspect of the practice. It is highly unlikely that only one book will provide you with everything you need to know to develop a flawless hydroponics system. And how to pick the book best suited to your interests? That is where good reviews come into play! 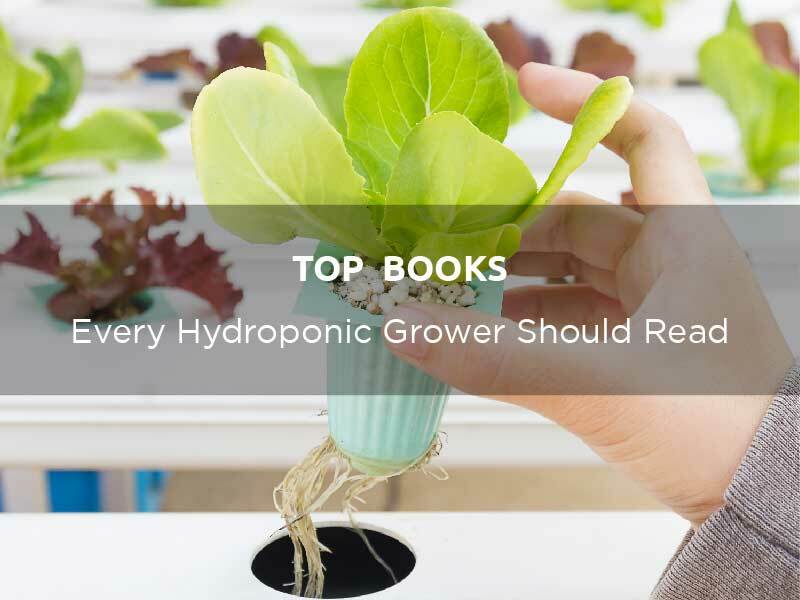 Take a look at some of my recommendations for quality literature on hydroponics. Here is one relatively recent publication, from 2016. The author Andy Jacobson has nearly 30 years of experience in hydroponics, aquaponics, and other advanced gardening methods and homesteading practices. The book is aimed at beginners and explains in all the concepts of hydroponics and related practices you will want to know in the beginning in detail and with no fluff. The language is clear, simple and easy to follow, with diagrams and pictures to help you along the way. Andy’s focus on sustainability and self-sufficiency will make this book’s tone attractive to the like-minded readers. 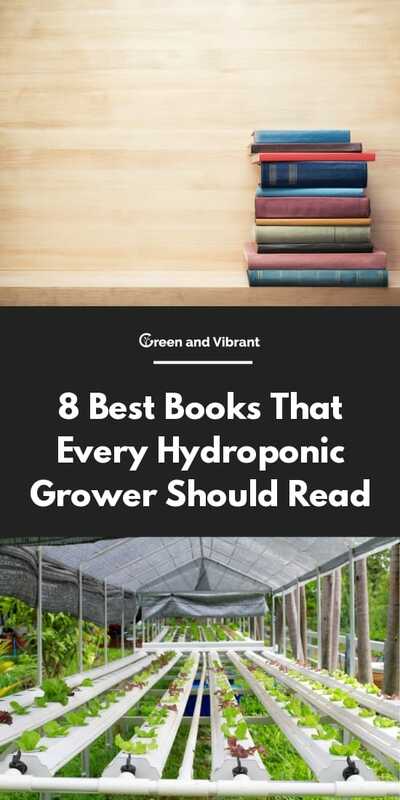 However, while it’s a great first book on hydroponics, if you happen to have any experience in hydroponics, it probably won’t have much to offer to you. Every hydroponics publication has a particular focus on a certain aspect of the practice. Keith Roberto’s “How To Hydroponics” pays special attention to hydroponics and aeroponics equipment, and gives you a good base of knowledge to buy or make exactly what you need on your own and with confidence. However, the weak spot of “How To Hydroponics” is that it doesn’t go into detail about plant care, which is a topic that makes many beginners anxious. All in all, it is a good hydroponics rookie read, and best combined with books that cover plant care in more detail. The “DIY Hydroponics Garden” is another basic, short, beginner book for hydroponic rookies. It covers five hydroponic methods suitable for your entry into the world of hydroponics. As the title suggests, it also offers some hacks, like teaching the way you can utilize cheaper substrates than the ones commercially intended for hydroponics. As for the price, it is one of the most affordable books on the list. Perhaps in connection to that, I have to notice that it is quite amateurish when it comes to language, grammar and style, but on the other hand, it is easy to understand. The next book on the list is written by someone with amazing credentials. Dr. J. Benton Jones, Jr. is an Emeritus Professor at the University of Georgia, with impressive 50 years of experience in hydroponics. The title doesn’t always precisely reflect what’s inside the covers. I would suggest that dr. Jones’ book is not quite a “practical guide”, but a valuable scientific account that explains the biological and chemical mechanisms of hydroponics - something that is crucial to understand if you are aiming to achieve a successful, innovative hydroponics practice. That especially goes for details and theory on nutrients and nutrient mixing, something that is rarely explained in such great detail in other publications. Despite the subject’s complexity, the language of the book is easy to understand for anyone with a basic scientific background. It could be assessed as a college-level read. Those that lack prior scientific education might struggle with it. However, since we can’t have it all, note that this book is not rich in practical how-to advice. All in all, an excellent book for referencing and for finding out what exactly is going on behind the scenes and substrates of your hydroponics systems. Here is another practical book by one of hydroponics’ pioneers. Howard M. Resh, a Plant Science Ph.D., is one of the pioneers of modern hydroponic practice. He has been writing about hydroponics since the late 70s and has done hydroponics projects big and small all across the world - from his home Canada to Venezuela to Taiwan. As its title suggests, this book focuses on small-scale, home hydroponics systems. What makes it stand out is the author’s experience. When someone with that much knowledge is laying out even the simplest hydroponic concepts - it sounds truly profound. Although they certainly have their value, many hydroponics books on the market are written by amateur enthusiasts. If you are looking for a book written by someone with authority in the field, seriously consider this publication. However, there is another side to all that experience - people who are completely new growing plants, and/or lack any plant science knowledge might find the book a bit harder - though not impossible - to follow. If you already know you are struggling with the topic, it may be better to pick a more casual-style hydroponic publication as an icebreaker. Another book by Howard M. Resh focuses specifically on growing tomatoes. Tomatoes are one of the most desired-for hydroponic plants. Still, they are considered a more advanced crop to be grown successfully within a hydroponics system, and many novice hobbyists get easily discouraged. That is where a book like this one becomes invaluable, and new gardeners are precisely its target group. It provides a lot of original and tried-and-tested practices for growing tomatoes that you may find useful even if you are growing them conventionally. However, note that the book is not solely about tomatoes - it also presents to the reader the basic concepts of hydroponics itself. The issue you might have with the publication is the small dimensions. It is 6 x 0.3 x 9 inches, which makes some of the book’s detailed and useful diagrams hard to figure out. Also, since it was published in 2002, some of the information is a little bit outdated, but it still is one of the most relevant (if not the most relevant) for hydroponics tomato culturing. Here is one old-school hydroponics book from Australia. It was first published in 1990 when hydroponics food production first made a leap from university labs and experimental projects to civil home gardens and farming operations. Although the last edition came out in 2000, it is still a relevant publication on commercial hydroponics system, especially if you consider that the books about this level of hydroponic gardening are still rare. Information that “Commercial Hydroponics” offers is extensive and detailed. It lacks the “fluff-talk” and the friendly voice typical for more recent publications, but you don’t need that anyway if your goal is raising your hydroponics game to a professional level. There are a couple of issues, however. The nutrient formulation sections are not very detailed, so consider combining this book with another one which has a high focus on plant nutrition, such as the already-reviewed “Hydroponics” by J. Benton Jones. Also, some information presented in the book, such as the supplier directory will not be useful for readers living in the Northern Hemisphere. If you are from the northern half of the globe, you may find yourself irritated with the information that is not relevant to you. Still, if you manage to look beyond that - the core information on the commercial-scale hydroponics system can be well utilized anywhere in the world. As a country with a large number of people and limited land surface for growing crops, Japan’s nationwide large-scale hydroponics initiatives we see today is quite a logical development. Japan universities and research centers have become one of the world’s leaders in developing large scale, indoor aquaponic operations that literally look like plant factories. The “Plant factory” book is an incredibly detailed account of this new vision of a Japanese garden. Although the book is not a how-to guide, it helps you a lot of science and technical know-how, all backed up by research. It covers many aspects of indoor vertical production: planning, designing, equipment (especially lighting), housing and crop growing. “Plant factory” is a non-commercial book in the best possible sense. While today you can never be sure if the book is actually trying to sell you an expensive piece of equipment it is “objectively” recommending, Kozai and other contributors don’t shy away from recommending the most efficient and affordable solution, with no interests other than the best possible results in mind. As you can see, it is not always easy to find your way . I hope that these reviews will help you pick the right book for you or your loved one. As a general rule, it is important that you do a bit of research and find a book suited to your current education and experience level, ideally from a credible author. However, even if you go wrong with the level of expertise, my humble opinion is that money invested in a good book is never wasted - if you end up with a higher-grade book than you can comprehend at the moment, you can shelf it and wait until you reach the level of knowledge needed. And what is your experience with hydroponics literature? Have you read any of the books from our list? Let us know in the comments!